Preview trailer of 'FLORIDALAND' (2017/2018), Four-Channel Video, 7:46 min. 'FLORIDALAND' (2017/2018), Four-Channel Video, 7:46 min. 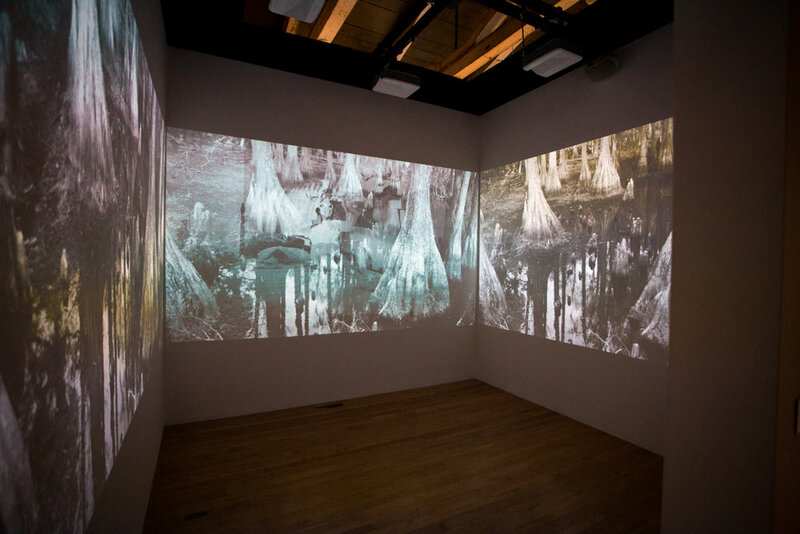 Installation view from ‘Allison Janae Hamilton: Pitch,’ on view at MASS MoCA March 24, 2018 - March 17, 2019. Preview trailer of 'Red Wolf' (2018), Two-Channel Video, 1:22 min. 'Red Wolf' (2018), Two-Channel Video, 1:22 min. 'Red Wolf' (2018), Two-Channel Video, 1:22 min. Installation view from ‘Allison Janae Hamilton: Pitch,’ on view at MASS MoCA March 24, 2018 - March 17, 2019. 2016, from the series Sweet milk in the badlands. Video Still. 'Passage.' (2016/2018), Single-Channel Video, 3:25 min. Installation view from ‘Allison Janae Hamilton: Passage,’ on view at Atlanta Contemporary August 25, 2018 - November 13, 2018. A balm for the living.